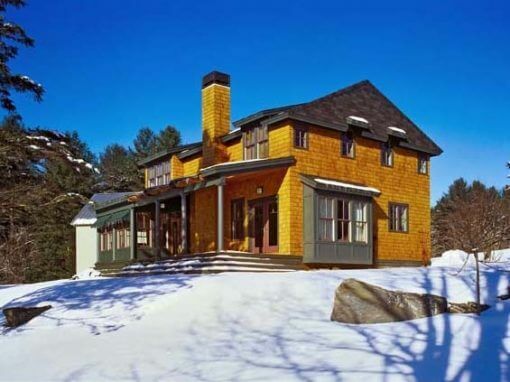 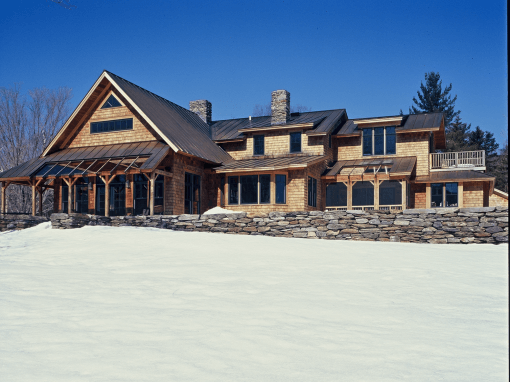 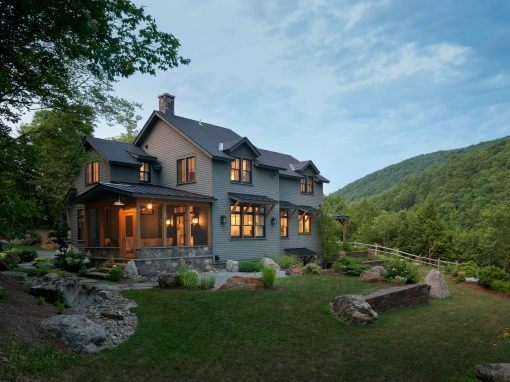 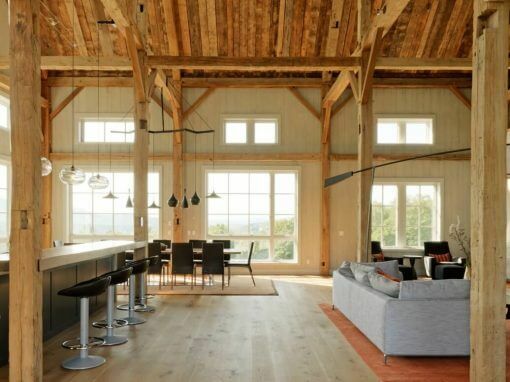 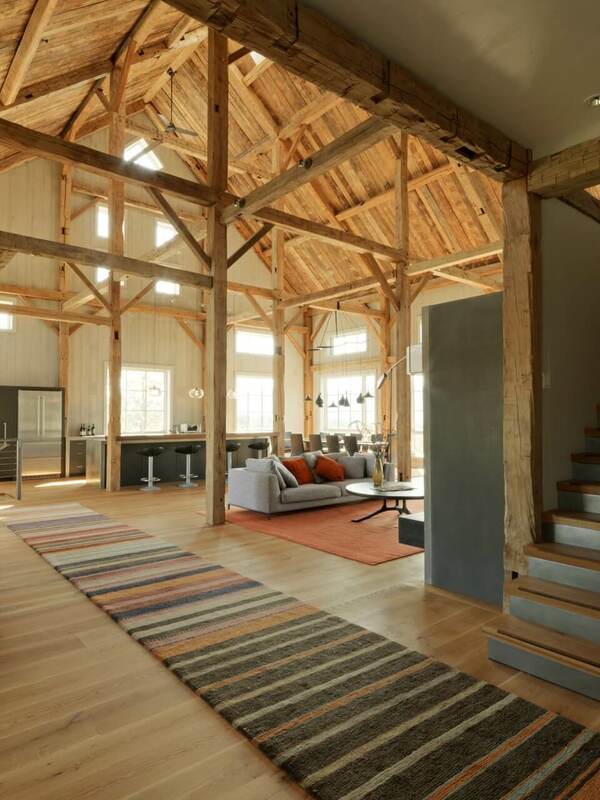 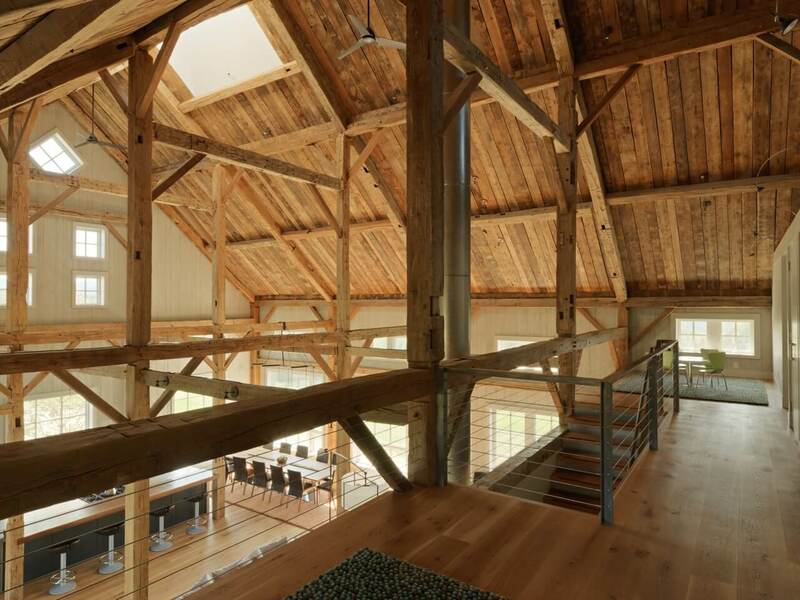 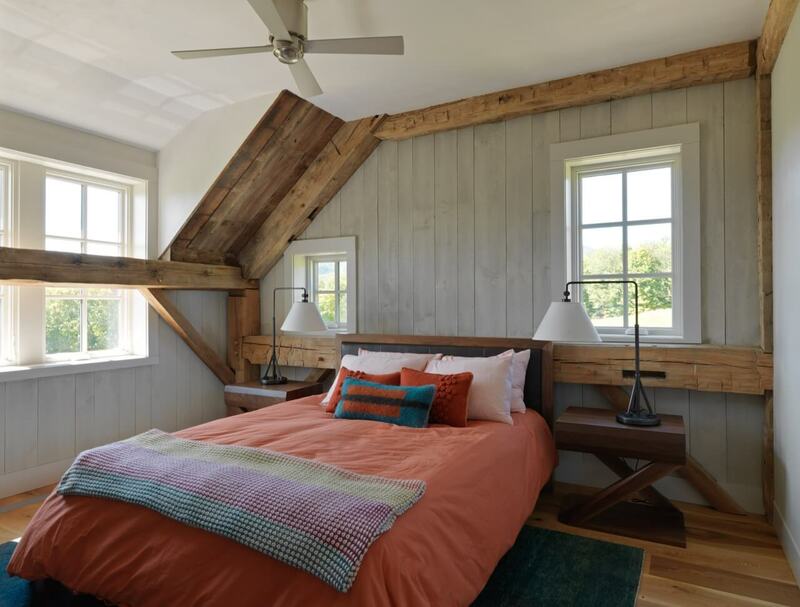 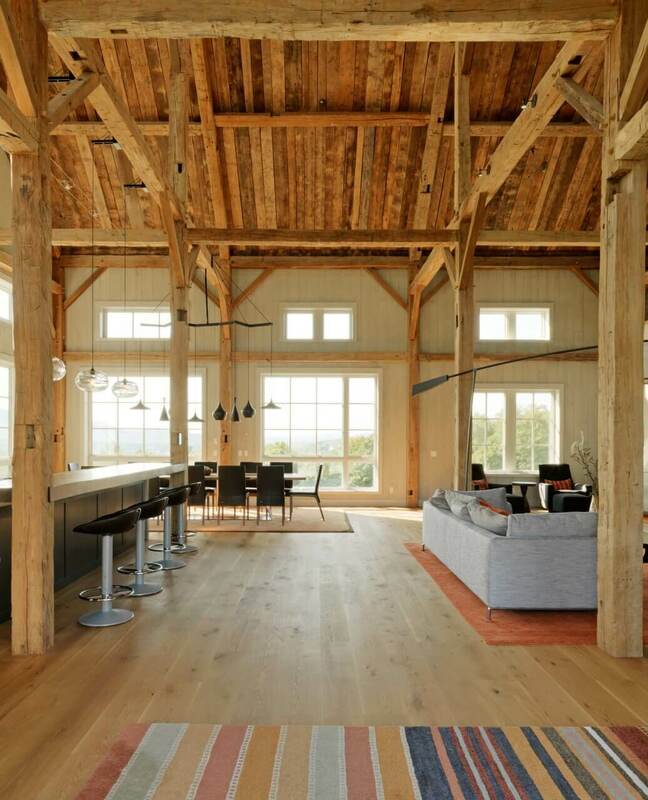 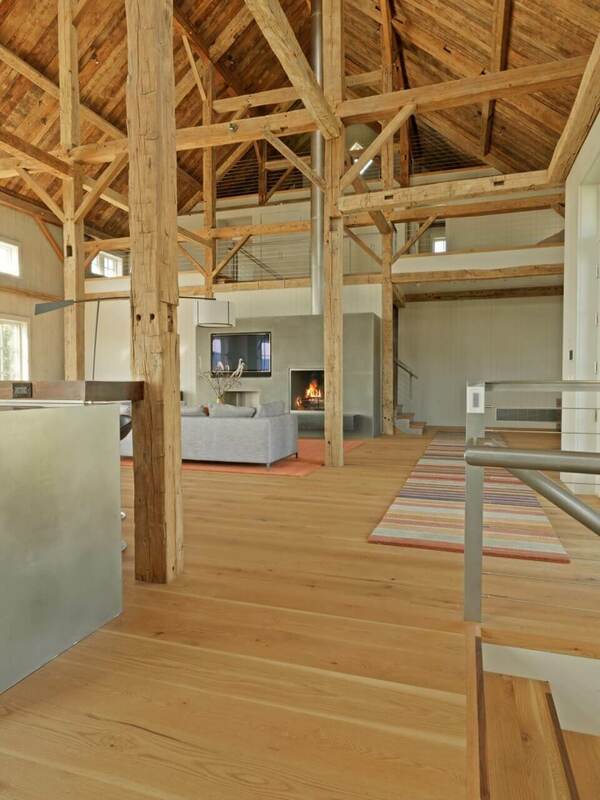 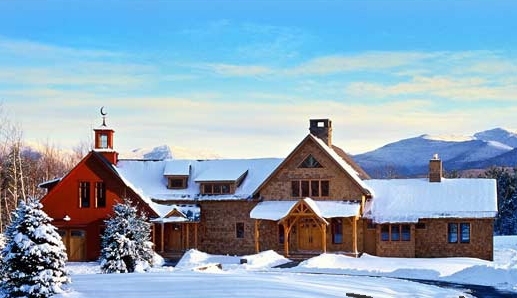 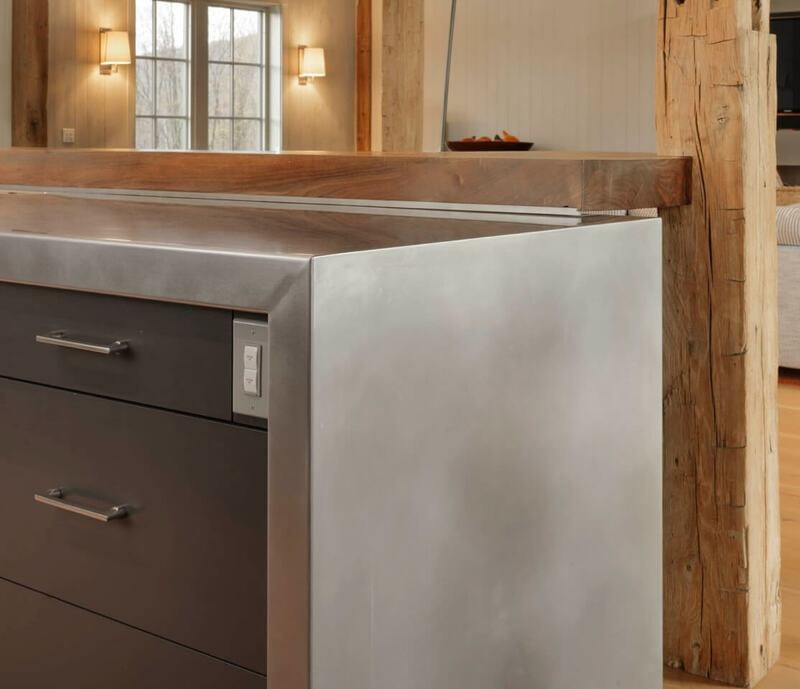 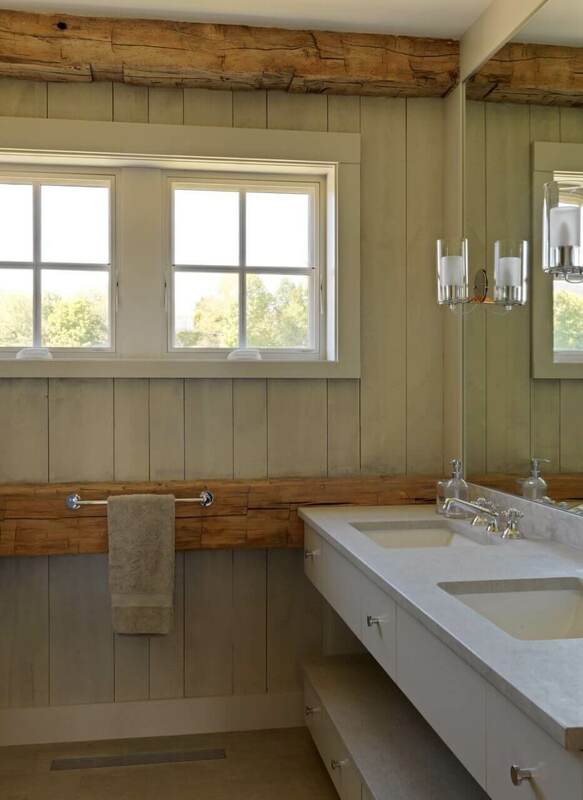 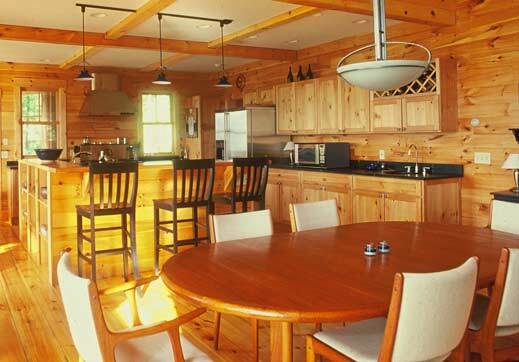 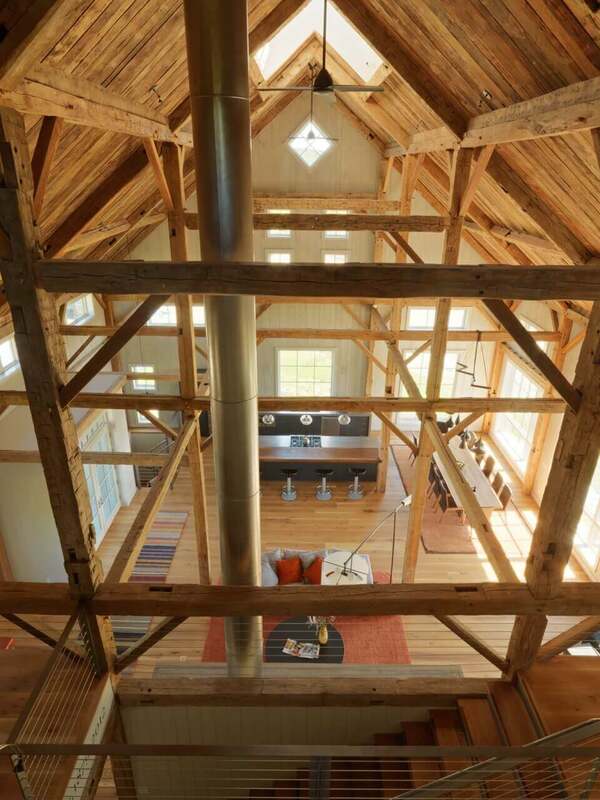 This guest house, part of a ski town estate, features a reassembled exposed 1890’s hardwood barn timber frame contrasting with a modern interior. 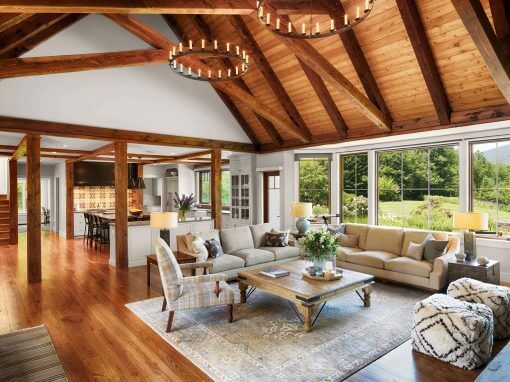 The living, dining and kitchen spaces are open to the soaring barn board ceiling while a master suite and 3 guest bedrooms are tucked into 2 stories at one end. 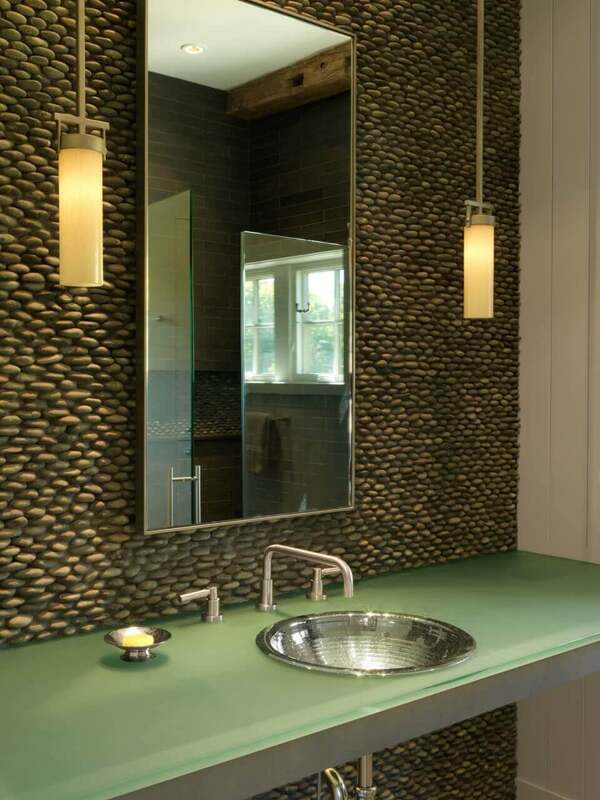 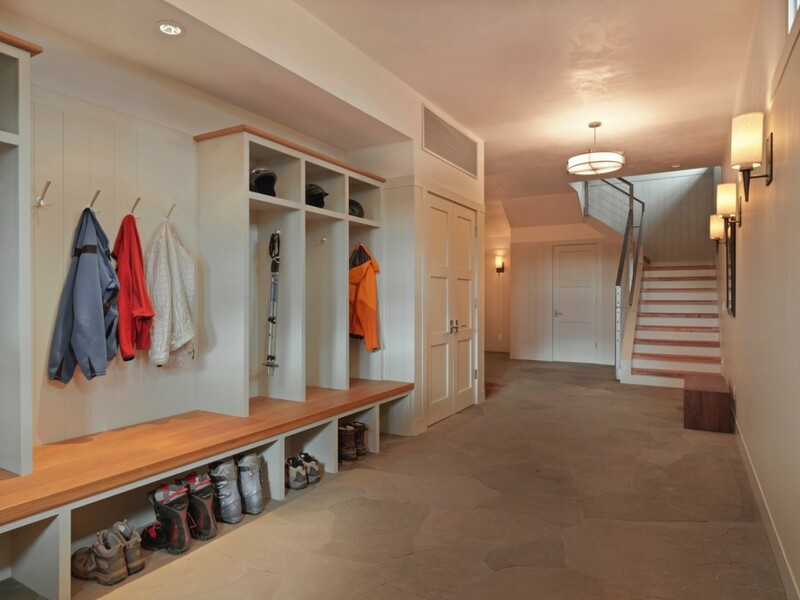 A 3 1/2 car garage and large mudroom comprise the lowest floor. 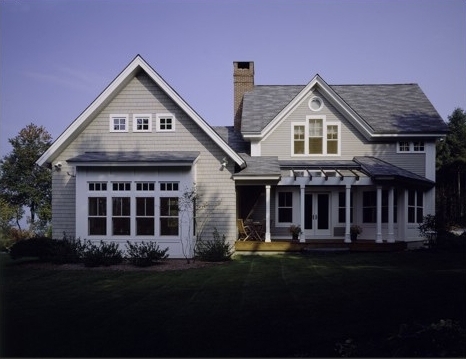 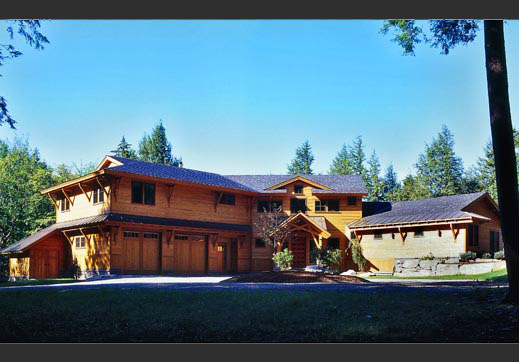 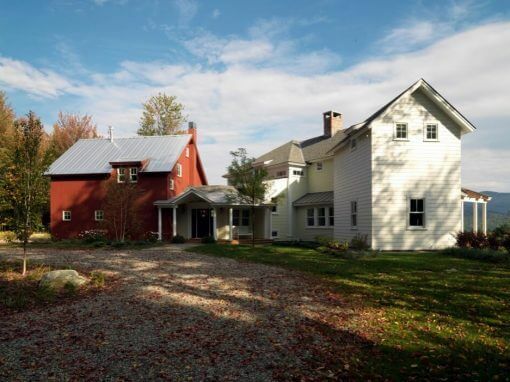 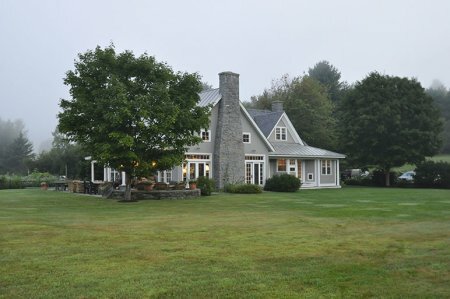 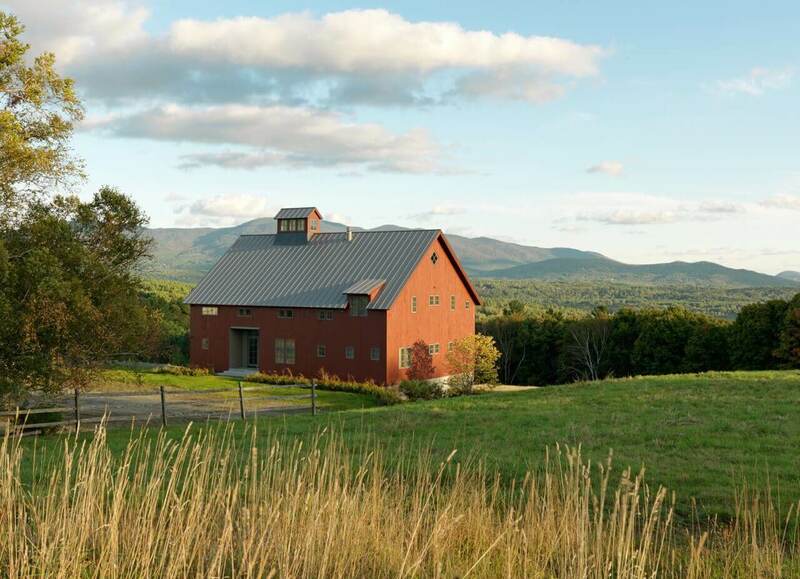 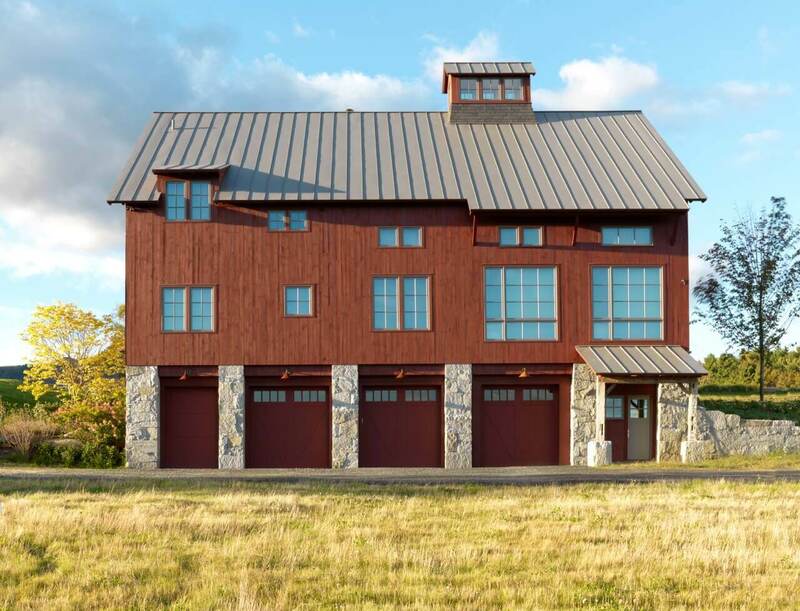 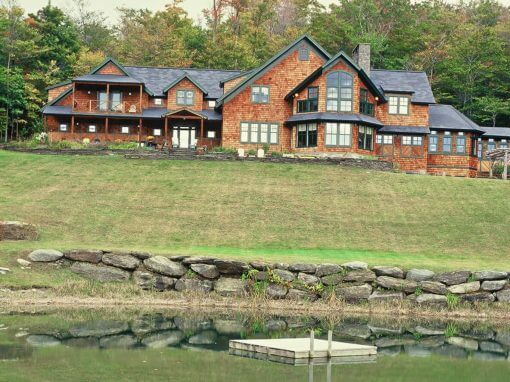 The exterior is covered in vertical barn board painted a classic “barn red”. 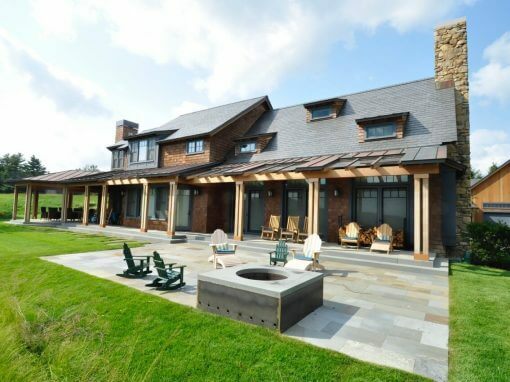 A cupola and slate roof caps the open living space 2 1/2 stories above the main floor.